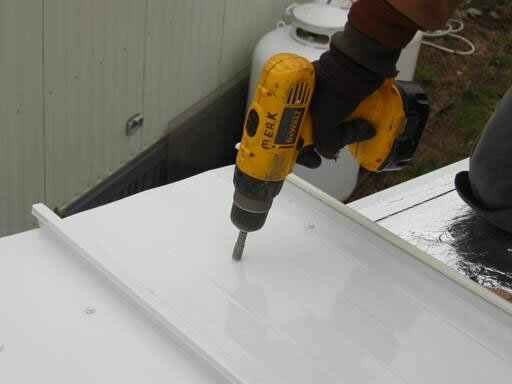 We provide mobile home repair services to restore the looks and structure of your home so you can save money that would’ve been spent moving. From re-roofing, siding, windows, and skirting repair and replacement, we have the solutions to make you feel more at home again. Maintenance free aluminum ReRoof system will end leaks for good, never roof coat again and our 6″ overhang keeps water away from your windows. Tilt in for easy cleaning, these vinyl windows are fully insulated and maintenance free. They will help to lower electric costs by keeping the heat in during the winter and out in the summer. Gives your home a fresh new look with our high quality vinyl siding and skirting. Maintenance free and available in a variety of different colors! reachable and responsive, starting and completing the jobs very quickly.